News now get listed in the new Blog! Note: English is not my native language. Probably there’ll be a lot of mistakes here. Sorry! This site ist about map projections, specifically about world map projections. A map projection is needed to show the spherical surface of the earth on a flat map (see What’s a Map Projection?). There is some info about projections (see below), but more importantly, it’s about their appearance: Out of more than 200 different map projections images you can select two at a time to view their differences and similarities in a direct comparison. Sometimes, two map projections might look so similar that it’s hard to tell the difference. Sometimes, you might see the difference but want to study it more closely. Maybe you want to compare the distortions which are present in each and every map projection. Or maybe you dont’t want to compare map projections but rather browse a bunch of nice projection images. You can do all of that here on this website. For more detailed information about the spirit and purpose of this website, read What’s this all about? and the Suggested Pairings provide a list of projections, always in twos, being (in my opinion) recommonable pairings. If you’re not familiar with map projection names, options no. 3 and 4 might be the best for you. The two projections you’ve chosen will be compared in three (simple mode) resp. eight (expert mode) different ways. Sometimes you’ll see only one projection image at first and you’ll have to click it to switch to the second projection. Sometimes the images will be layered on top of each other semi-transparently. I’m confused by these different kinds of comparison! In case you never heard of Tissot’s indicatrix (which is part of the comparisons) read the article that explains it. If you don’t want to compare but rather view the projections individually, head over to the Single View Section. Maybe you want to share an image of you favorite map projection via email or social networks? – Okay, this can be done in the Single View section! Are there any informations about map projections here? and in the chapter Selected Projections I’m discussion a few chosen projections. Nonetheless, I highly recommend the site that are listed in the Links section! They are more extensive, more precise and better written than my own articles. Added two more Wagner variants. Four new polyhedral projections, an accompanying update regarding the filter box on the website. After introducing the Equal Earth projection briefly in August, there’s now a more detailed blogpost about it. Additional projections/variants by Canters, Gringorten and McBryde-Thomas. New projections: Kramer VII and Equal Earth. Added more of Strebe’s 1992 series of equal-area projections. Read more in the blogpost. A little extension of the WVG-7 and an implementation of the Customizable Wagner VII for d3js.org. Several new projections, modified Tissot indicatrix images. See blogpost. Added the sinucyli projection. See Blogpost. New projections. Complete exchange of projection images of the physical relief ocean bottom type. A few changed projection images. A blog has been added to this website! Current news & changes are listed in detail over there. Additionally, I’ll use it for short articles regarding map projections. Visit the blog at blog.map-projections.net! Again, I had to postpone the article about the Wagner variants by Canters and Böhm. Because before that, I felt I had to show Wagner’s own equal-area variations of Wagner VII. See The Wagner Bros.
Of course, images for these variations were added, too. Since I’m not aware of names that are already in use, I just called them Wagner VII.b, VII.c and VII.d here. Further projections, that were added: Canters’ Optimization of Wagner IX, Aribert Peters’ Entfernungsbezogene Weltkarte (distance-related map – another variation of Wagner VII), and the modified Nell-Hammer, which was introduced by, ummm… Wagner. And in order to prevent another »Wagner only update«, I also added the Bonne projection and by special request the uninterrupted Boggs eumorphic plus the polar aspect of Lambert’s azimuthal equal area-projection. For reasons of consistency, some azimuthal projections were renamed. The WVG (see update of Feb 2) was renamed to WVG-7 – because he now has a brother called WVG-9. And just like the WVG-7 generates variations of Wagner VII, the WVG-9 allow variations of Wagner IX. Technical update: Overlay images now use fancyBox 3. This should offer a better experience especially (but not only) on mobile devices. Added McBryde-Thomas #2 and Canters optimization of Wagner VII. Strebe Asymmetric 2011 is now available using the full set of comparison images and the usual visual appearance. In the WVG (see below) you now can select to display Tissot’s indicatrix for a better evaluation of the distortions in the projection you’ve generated. Canters optimization of Wagner VIII was added. Wagner-Böhm I to IV are now available with all images, incl. Tissot and silhouette images, so finally, they can be compared decently to other projections. Have fun with the Wagner Variations Generator (WVG)! Adams world in a square I and II, Adams hemispheres in a square, elliptic conformal, Lagrange in another configuration, Guyou conformal. The previous images of the Briesemeister projection were replaced. Since the name Briesemeister is associated with a specific configuration of the Hammer projection, I felt compelled to match this configuration exactly, so I moved the projection center from the Greenwich meridian to 10° east. So far, I neglected conformal projections a bit. Therefore I added three of them: August Epicycloidal, Eisenlohr and Lagrange. A few more will follow shortly. Furthermore, I added Philbrick Sinu-Mollweide and the Times projection. And another Winkel Tripel variant which I called Winkel Tripel BPOC. It might have been used before, but not using this name. For more information, see What’s the Winkel Tripel BOPC? The images of the Larrivée projection were somewhat flawed, so they were replaced by better ones. Added new projections: Airy Minimum Error Azimuthal, Hatano Asymmetric, Laskowski Tri-Optimal, Synder Minimum Error Flat-Pole, Synder Minimum Error Pointed-Pole, Strebe-Snyder Flat-Pole, Strebe-Snyder Pointed-Pole. Peirce Quincuncial Projection is now available using the same imagery as (nearly) all other projections and in all styles (i.e. Tissot indicatrix images etc). Approximations of Eckert II and Tobler Hyperelliptical were replaced by images generated from the original formula. My own experiment, the Wagner-Denoyer, was renamed to Wagner-Denoyer I because an additional variant, the Wagner-Denoyer II, was added. See Wagner-Denoyer Projections. The Wagner IX variant that was previously listed as Wagner Y5 was renamed to Wagner IX.i – read Naming Wagner IX.i for more information. As announced, I added a longer review of the Wagner-Denoyer projection. In light of recent events, I added an article about Naming Canters’ Projections. A short(!) introduction of my own attempt at map projections: The Wagner-Denoyer projection. A longer review will be given later! Sometime. Soon. I hope. As promised, the articles about the Patterson and Strebe projection were updated. Finally, the article The Wagner Projections (Part 2): Usage is available. I’ve applied a few changes which should enhance your browsing experience on this site if you’re using a mobile device with a small screen (commonly referred to as smartphone). Further changes in this regard will be made anytime soon, but I’m not going to report them here. To be honest, this is a bit of a »quick & dirty« update – for nearly five months, nothing has happened here, so I was in a rush to get the stuff online at last. So in case you’ll find any typos more typos than usual in the new article; in case something shouldn’t work… fear not! In the days and weeks to come, I’ll take care of it. Gall Isographic, Gall-Bomford, Kavraisky I, Raisz Half-Ellipsoidal in two variants. New article about the Wagner projections. I split up this article: Part 1 is available, part 2 is coming soon. In this context, I’ve build a Wagner IV approximation for use in the Flex Projector. A few minor edits on the Hufnagel projections article. Finally, I’m able to generate the Hufnagel projection images myself. Thus, they’re available now using the same base images as (nearly) all other projections and include the full set of silhouette and Tissot indicatrix images. Since the »alternative« images of Eckert IV and Behrmann were included only for better comparison to the old Hufnagel images, they were removed. The image of the Tobler hyperelliptical projection was replaced by a very close approximation. Learn more about this in the article Approximations. 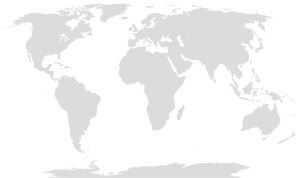 All projection images (well, almost all, anyway) are now optionally available using a physical map image showing the ocean with flat blue tint. You can toggle between the old and the new images using the menu Viewing Options in the upper right corner of each page. For more information, read the Viewing Options article. In the Single View Section there are Previous/Next navigation buttons now. You can use them to navigate through all avaiable projection images without being forced to return to the overview. Note: In case you’ve set filters, these buttons will refer to the given selection. For Example, if you’ve used the filters to get a list of pseudocylincrical equal-area projections only, the Prev/Next buttons will navigate through this list, i.e. you will see nothing but pseudocylincrical equal-area projections. The Hufnagel projections finally get some attention. Therefore, I revised and extended the Hufnagel article. If you apply filters on Compare via thumbnails or in the Single View, the current settings are now saved to you don’t have to re-apply them when you go back to that page. Renamed Putnins P4 to Craster’s Parabolic. After all, it was Mr. Craster who developed this projection first (which Putnins duly noted when he introduced his series of projection). Added silhouette and Tissot indicatrix maps for Hufnagel 7, 9 und 10. Note that these are approximations. For the sake of better comparability, I replaced the previously used image of Eckert II projection with an approximation using the same base image as most other projections. And since I now work with approximations, I added a chapter about approximations. McBryde-Thomas #1 and the uninterrupted versions of McBryde-Thomas Flat Polar Sinusoidal, McBryde P3, McBryde Q3, McBryde S2. Arden-Close, BSAM, Kharchenko-Shabanova, Miller Perspective Compromise, Tobler’s variant of Miller Cylindrical 1 and 2, Urmayev II and III. A4 Projection, Ciric I, Cropped Ginzburg VIII, Dedistort, Hammer-Cylindrical. Completed the Patterson article with a paragraph about the usage as decorative map. Added Patterson Cylindrical Projection and Compact Miller. Added an article about the Patterson Cylindrical Projection. The images of the Equirectangular projection with standard parallels at 40° were replaced with ones having the standard parallels at 36.5° (for better comparability to Patterson). Added Strebe Asymmetric 2011, plus an alternate depiction of Strebe 1995 for better comparability. Added Braun Perspective Cylindrical projection. For better comparability among the azimuthal projections, added the hemisphere views of Gott-Mugnolo Azimuthal and the Azimuthal Equidistant Projection. Explains why I felt compelled to add these two kinds of comparison. South-up mode: You can view all map projections upside-down, i.e. with the south pole on top.